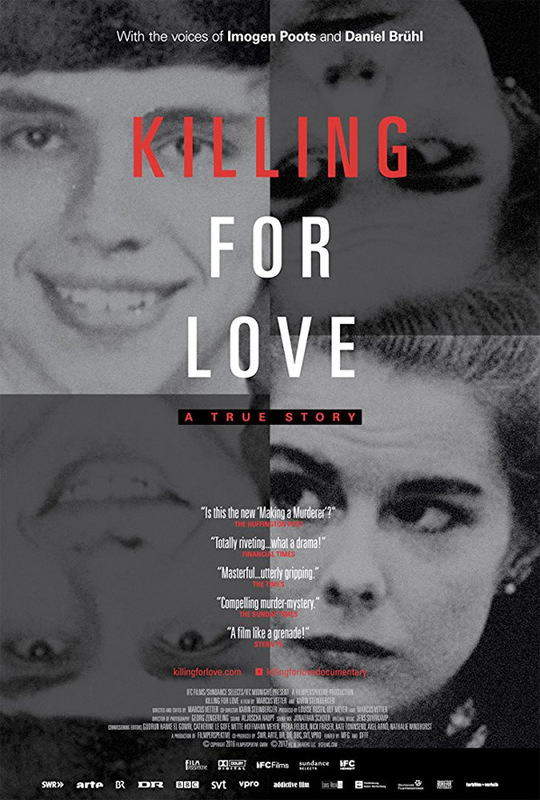 "I read all the police reports, and I said 'this man is innocent…'" IFC Films has revealed a trailer for the documentary titled Killing For Love, originally Das Versprechen (or The Promise) in German, about a controversial 1985 murder trial. The story goes that in 1985, a couple was found brutally murdered inside their home, and the daughter was arrested as the prime suspect. But as the trial played out, her boyfriend, the son of a German diplomat, took the blame out of love and was eventually convicted. This documentary examines that story and what happened, featuring the voices of Daniel Brühl and Imogen Poots as the young lovers. This looks like a fascinating investigatory dive into this case and what might be the real truth. March 30, 1985: Derek and Nancy Haysom are discovered brutally murdered at their home in Lynchburg, Virginia. The subsequent arrest and conviction of the couple's daughter Elizabeth, a wealthy scholarship student at the University of Virginia, and her boyfriend Jens Soering, the brilliant son of a German diplomat, set off a media frenzy, becoming the first trial of its kind to be nationally televised. But what if the justice system got it all wrong? This gripping true crime tale untangles the web of romantic obsession and betrayal that may have led an innocent man to make the ultimate sacrifice for love: take the fall for a murder he didn’t commit. Killing For Love is directed by documentary filmmakers Karin Steinberger & Marcus Vetter. This first premiered at the Munich Film Festival in 2016, and played at numerous festivals last year. IFC will release Killing For Love in select theaters + on VOD starting December 15th. Curious?